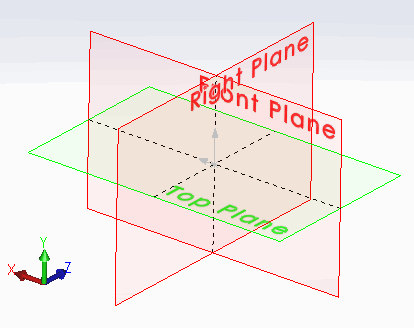 This example demonstrates how to compare two model views in part or assembly using SOLIDWORKS API. Macro is using user defined type ViewData to store the orientation, translation and scale of the view. This structure is not linked to the view and represents the snapshot of view transformation. Result of the CompareViewData function is defined as CompareViewResult_e flag enumerator. This allows to return specific change in the view orientation or combination of changes. Open the model and start the macro. Macro will pause the execution once the data from the first view is read. Change the view and continue the execution of the macro. Result is displayed in the message box. MsgBox "Views are the same"
msg = msg & vbLf & "Orientation"
msg = msg & vbLf & "Translation"
msg = msg & vbLf & "Scale"
MsgBox "Please open part or assembly"